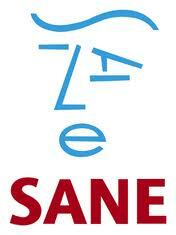 With suicide rates rising in the UK, mental health charity SANE has launched a new set of online resources based upon the findings of a five-year research programme into the process of suicide. The research behind the new programme looked at suicidal feelings and the experience of suicide from a first-person perspective, as well as from the perspectives of family members, friends and those bereaved by suicide. It is the first study of its kind that seeks to provide the general public, as well as professionals, with an understanding of the experience of suicide in a way that also helps them intervene effectively. SANE on Suicide explores key themes that underpin a new approach to understanding the process including living without self-worth, loss of trust and suicidal exhaustion. It also acts as a tool to help people have a conversation about suicide, with a view to slowing down or stopping the process of someone becoming suicidal. Marjorie Wallace, chief executive of SANE, said: “Suicide rates are rising and each year 6,000 people in the UK are dying because they feel they have no other way out of their despair. SANE on Suicide has been created so that more people can recognise when someone might be becoming suicidal, and do something to help. "We hope that with more knowledge and understanding, people – be they family, friends or healthcare professionals – can feel confident to ‘interrupt’ the downward spiral of a person’s negative thoughts and stop the process of suicide by having the confidence to start a conversation about it."